The theme comes from I Kings 8:28, which states, “Hear the cry and the prayer that Your servant is praying in Your presence this day,” and serves as a rallying cry to Christians to intercede for the spiritual and physical needs of the nation. In Washington, D.C., Dr. Jack Graham, pastor of the 40,000 member Prestonwood Baptist Church in Plano, Texas, whose services are featured on the television broadcast “PowerPoint,” will deliver the keynote address at the Cannon House Office Building. Other speakers include Rep. Robert Aderholt, Rep. Louie Gohmert, Senate Chaplain Barry Black, District of Columbia Judge Robert Rigsby and Christian filmmaker Alex Kendrick. Other gatherings will be held in cities across America at city halls, courthouses and local churches. “This annual observance powerfully demonstrates the religious freedoms that were secured by our Founding Fathers who recognized that our innate human rights are inexorably tied to our relationship with the Creator,” commented Shirley Dobson, Chairman of the National Day of Prayer (NDP) Task Force. “It’s my heartfelt prayer that this year’s theme, ‘Lord, Hear Our Cry,’ will prompt our fellow citizens to turn to God in reverence and humility,” she said. Throughout America’s early history, a number of the Founding Fathers issued proclamations calling inhabitants to prayer, including in 1798, when President John Adams proclaimed a national day of humiliation, prayer and fasting. 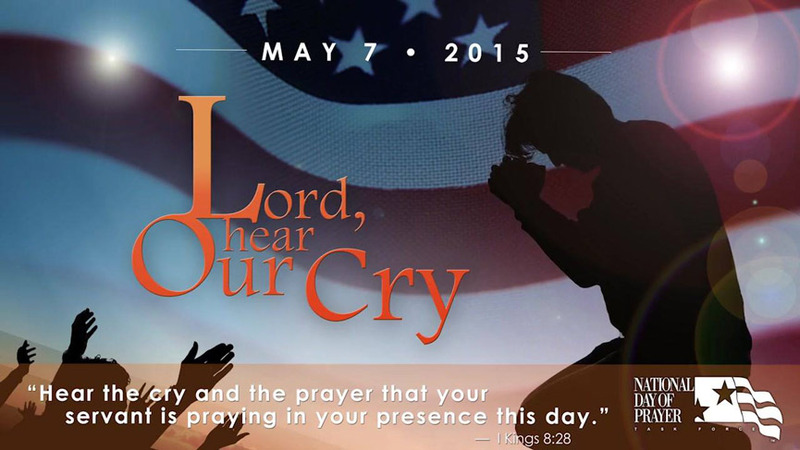 Editor’s Note: To learn about a National Day of Prayer gathering near you, click here.